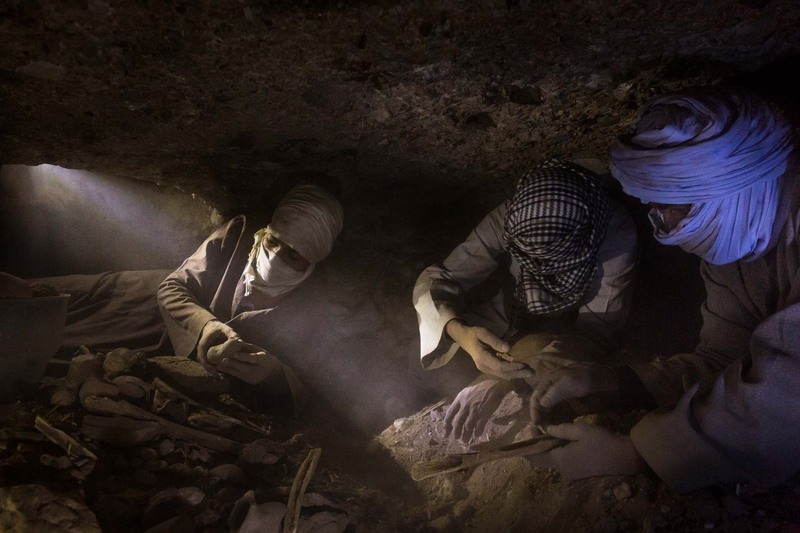 Egyptian tomb robbers at work in middle kingdom burial sites in search of ancient Pharaonic treasures. They work in claustrophobic environments where fatal accidents and serious pulmonary ailments are ever present. If caught, robbers will get 25 year jail terms, Egypt.